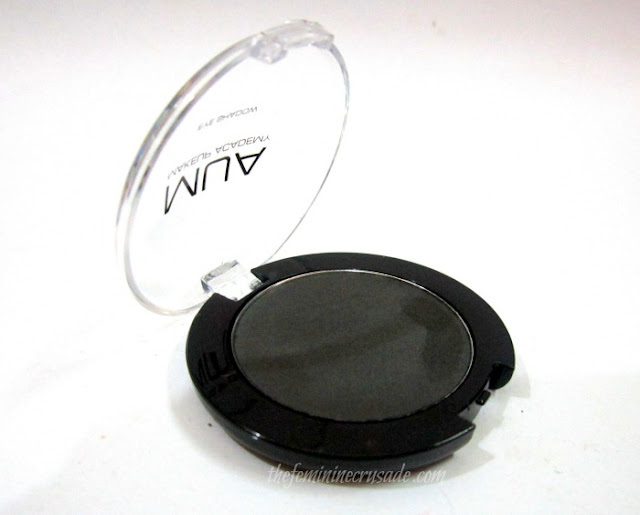 Single eyeshadows that are super high pigmented, smooth and easy to apply are the must-have item from MUA. They’re the barga-licious price of just £1 each and they come in 4 shades to satisfy your matte cravings! With fantastic pay-off, embrace a matte eye look and pick up all four of these gorgeous shadows today! I bought it from Just4girls.pk. Also available online at MUA Store. 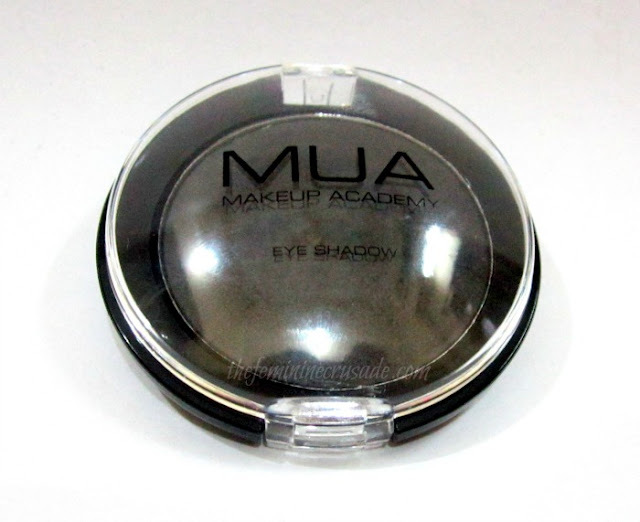 MUA Matte Eyeshadows come in a circular pan with 10g of product inside. I bought Shade 20. Every pan has a transparent lid. MATTE and BLACK! Is it really? 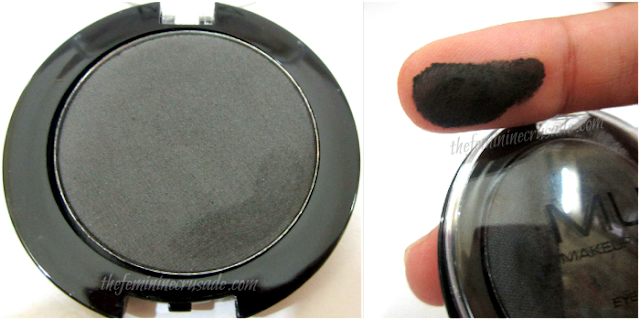 I was in search of a perfect matte black eyeshadow. Many people even liken MUA Eyeshadows to MAC ones so I went ahead and picked their blackest from the range. I won’t be comparing it with MAC eyeshadows because I haven’t used any, but among the black eyeshadows that I have used so far, this Shade 20 by MUA is hell impressive. MUA's packaging is never out of the box. This one too is simple, clean and sturdy. I really love the intense pigmentation of the eyeshadow. 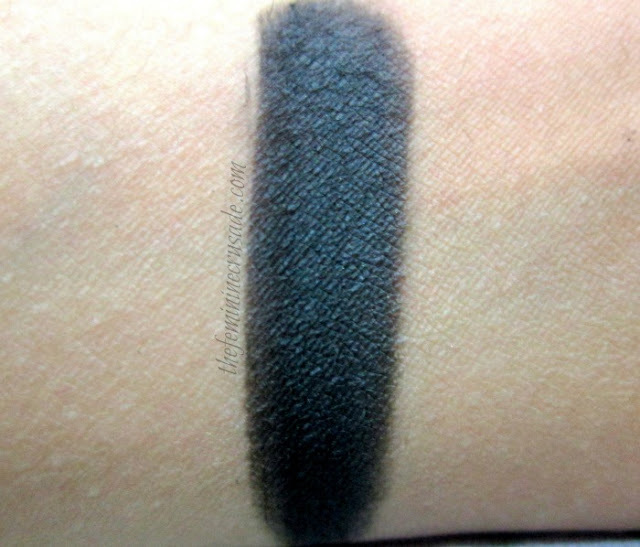 This black is perfect for the dark smokey eye. Surprisingly, the black in it pops on the eye even without a primer. Though I will always advise to use with an eye primer for it to last longer and not fade away. There was very little fallout; as with all black or dark eyeshadows there is some. The texture was very smooth and very blendable. There was no dragging for this eyeshadow. ANY brush picks it up easily. I could not test its wearing power as I didn’t have a chance to wear it for a day. I have swiped it twice in the swatch. For the price, this matte black beauty is an absolute genius by MUA!